This is Sosenka. Previously, Kotaku introduced her amazing Majin Buu. But that’s not the only incredible Dragon Ball cosplay she’s done. There are more. What makes Sosenka’s work so great is its range. 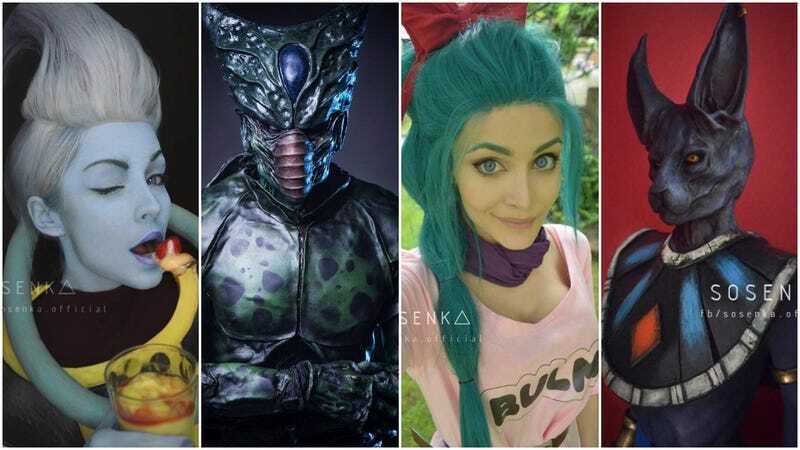 She does all sorts of Dragon Ball characters, typically showing off her impressive special effects and make-up skills. But why stop at Dragon Ball? Her other cosplay creations are also terrific. You can see more on her Facebook account or follow her on Instagram.